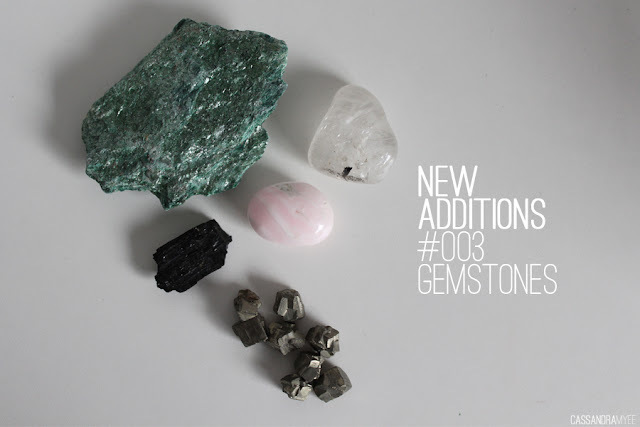 Lately I have added a few new gemstones to my collection with some really interesting finds. 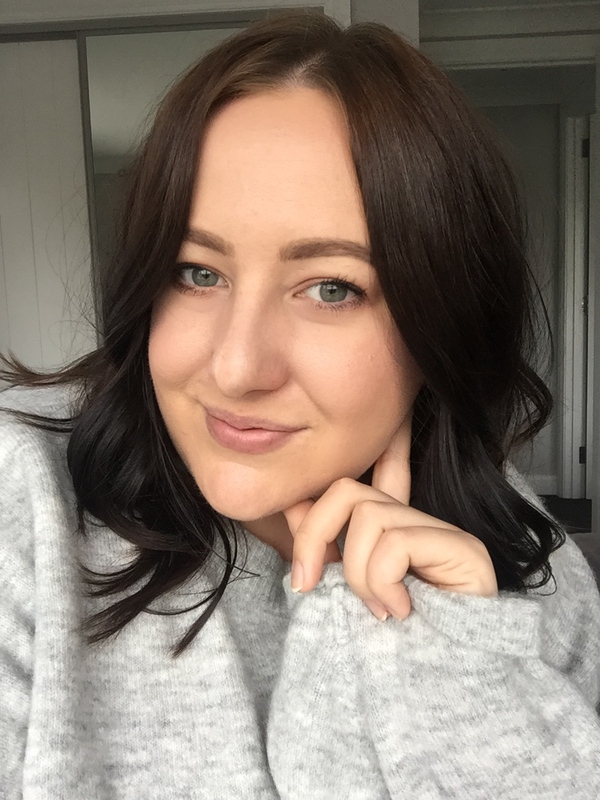 There is something about gemstones and minerals that I find really fascinating and I love collecting them; you can see #001 and #002 with other new additions of gemstones + minerals. This is a variety of muscovite and contains large quantities of Mica which give it the shimmery/glitter look. 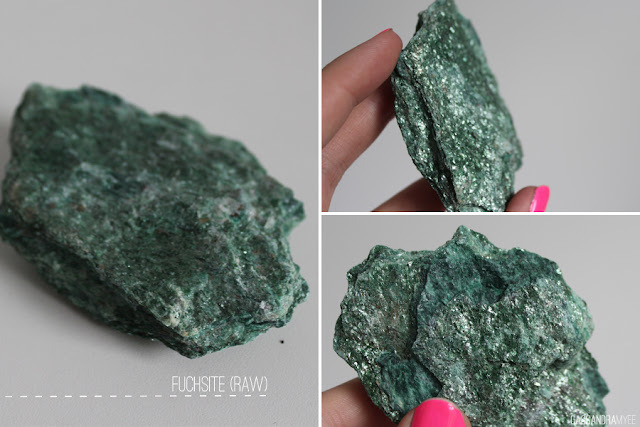 It is a pretty common stone and was originally found in Austria but is now found in other parts of the world. Tourmaline comes in a variety of different colours including green, pink and purple and there is even a variety called 'watermelon' tourmaline which has green outer edges with a pink interior. 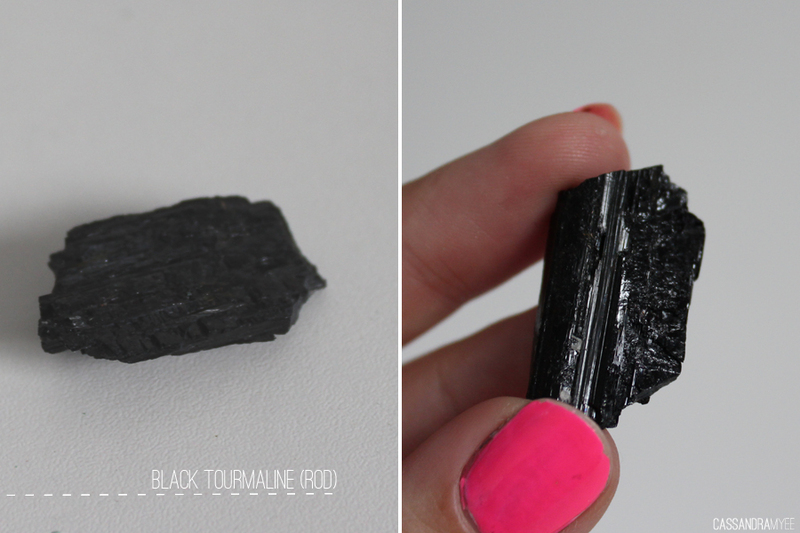 Black tourmaline or Schrol makes up about 95% of all tourmaline found and forms in large rod type crystals. 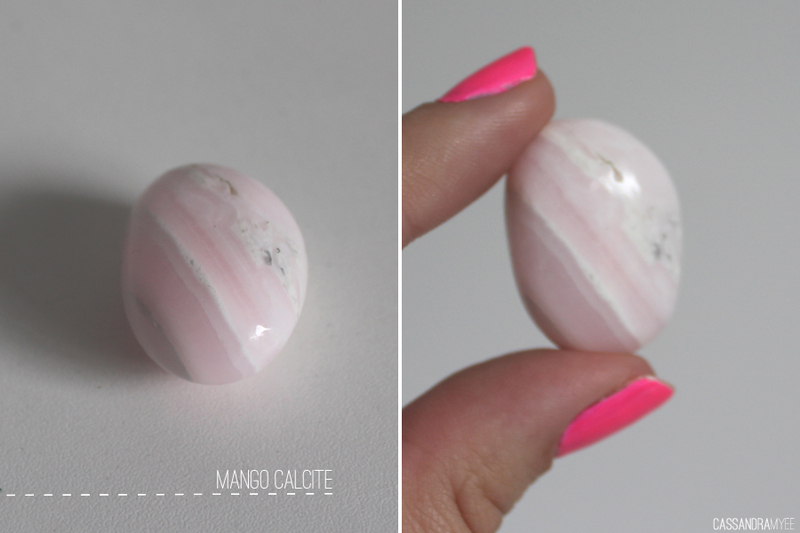 Generally calcite's natural colour is white or clear but there are many different variations of it including this pink variety, specifically named Manganoan calcite which is rich in manganese. It is found in a few different locations, including Mexico and Bulgaria. 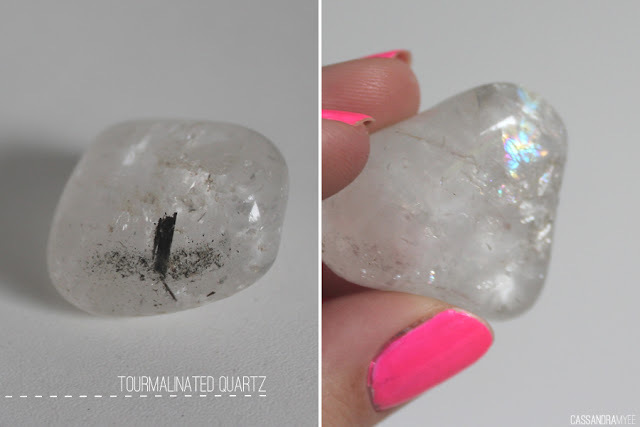 This amazing natural stone found in Brazil, is formed when rods of Tourmaline become suspended in clear quartz through a process of heat and pressure and other minerals leaking into the rock. It gives an incredible effect and the jewellery quality pieces show the effect off so much better then the tumbled stones can. Pyrite, also known as 'fool's gold', has got to be one of my favourite gemstones. I love its natural geometric form and the metallic colour of it. 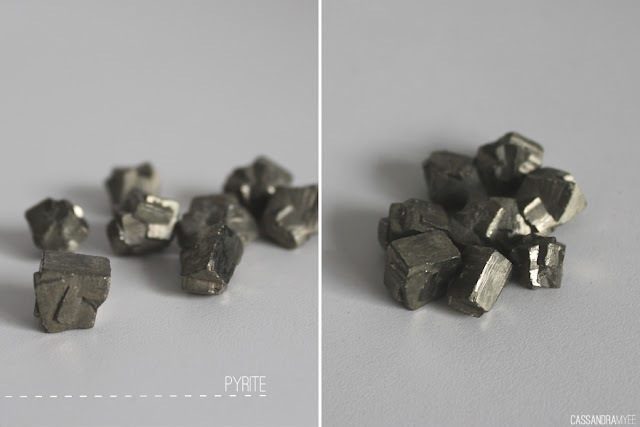 These little cubes are about 1cm by 1cm and look very cool in a little cluster together. That's it for the my new additions to my gemstone collection, something a bit different from the usual beauty/fashion post! What's your favourite from this loot? Let me known in the comments.